Horse Thieves Tavern, Dedham MA – Sorensen Partners | Architects + Planners, Inc.
Sorensen Partners is Architect and Interior Designer for Horse Thieves Tavern in Dedham, MA. The new restaurant at the corner of Washington and High Streets is presently under construction by Sincere Construction of Cambridge, MA. 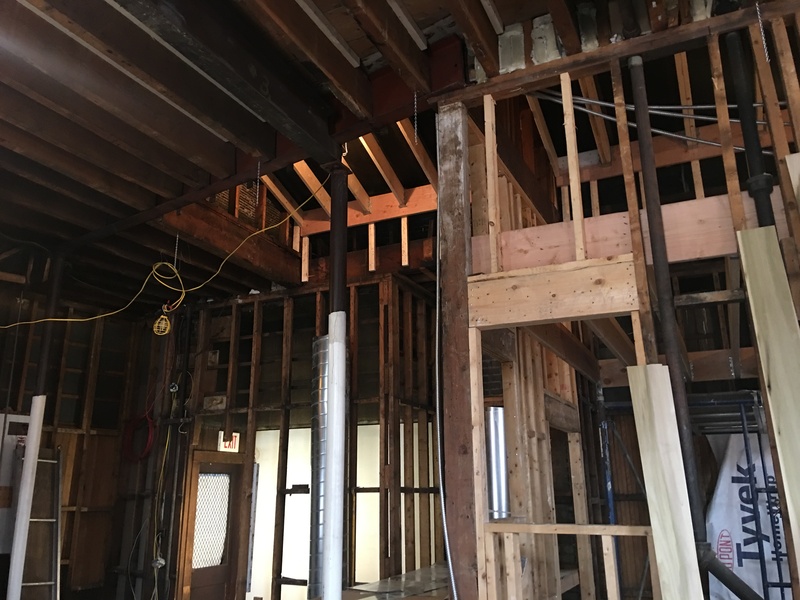 The project includes design and construction of the new restaurant and restoration and code compliance upgrades to Reynolds’ ‘North Star Building,’ a 1924 masonry bearing wall structure housing a bookstore and cigar shop on the first floor and office suites upstairs. Sorensen Partners provided MA Architectural Access Board review consulting and design of systems and accessibility upgrades for the North Star Building. 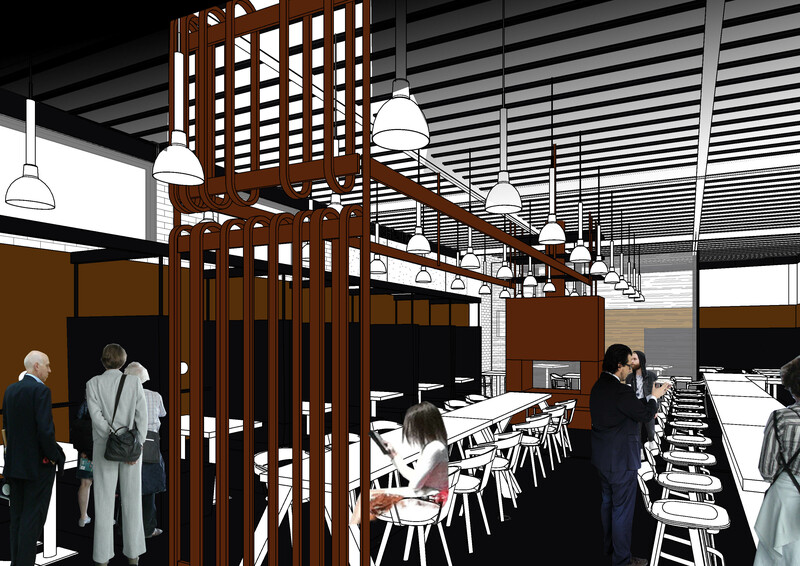 The concept for the restaurant is the bar surrounded by communal tables and booth and banquette seating, backed by the kitchen. Downstairs is a prep kitchen, storage, and toilets. The jade-green and amber color scheme is both edgy and comforting, creating a bridge from workday to night. The technical design required conversion from mercantile to assembly use, structural and MEP upgrades, and replacement of the storefront. “This week, I became owner of the building on the corner of Washington and High Street–home to The Blue Bunny, Books and Toys. Although the building was rebuilt in 1924, the lot was home to a pharmacy for over 150 years. Founded in 1858, the pharmacy was originally called Smith’s Druggist. H. L. Wardle purchased the business in 1882 and renamed it after himself in 1911. The building is home to Courthouse Cigar, The Blue Bunny, Mocha Java, and nine office suites above occupied by Quirk Associates, and my children’s learning media company, FableVision Learning. The pharmacy space will be home to a new restaurant slated to open later this year. More on that soon. I love Dedham and its historic downtown. 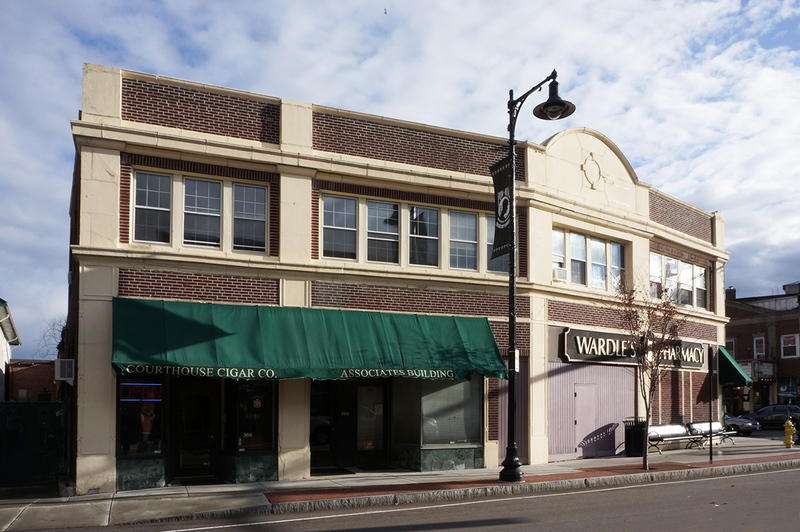 It’s an honor to be a steward of this corner and help preserve a part of what makes Dedham Square special. 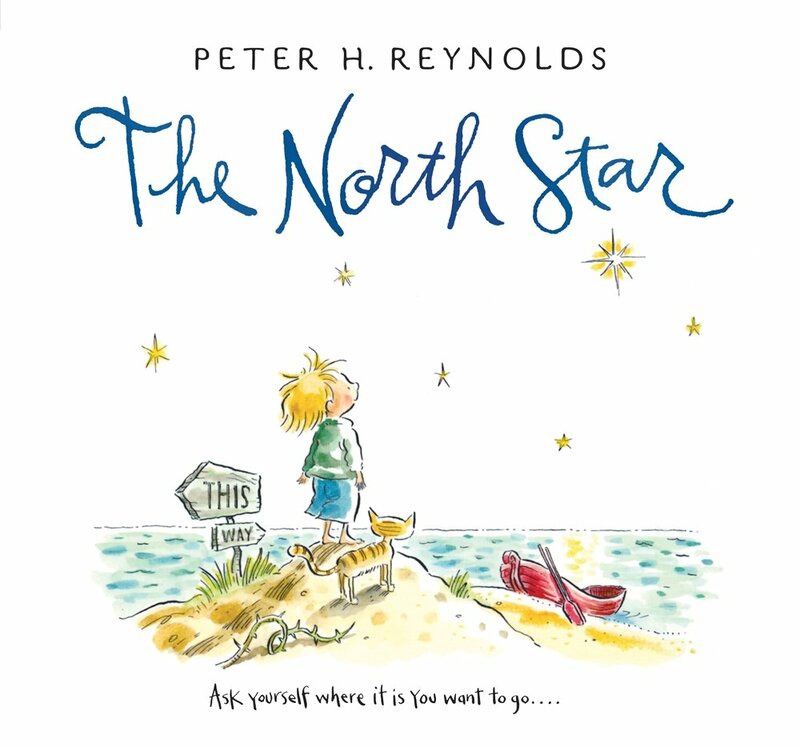 I have decided to name the property: The North Star Building–a nod to my book about following your dreams.